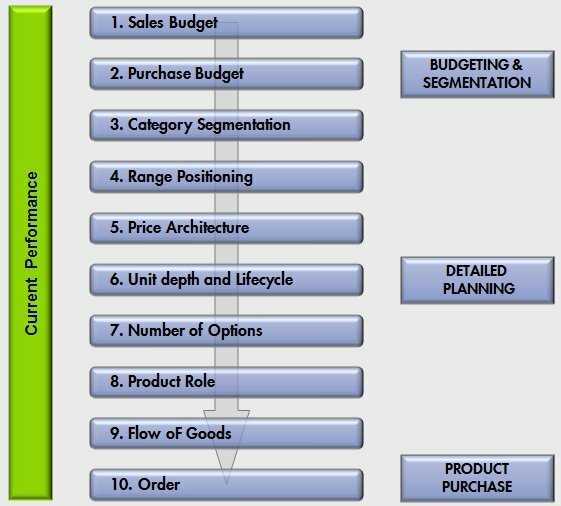 Ispira supports the evolution of all stages of Merchandise Planning process. It's the quantitative support for collection development, segmentation, product lifecycle. It also represents the basis for performance monitoring and sales maximization actions during the season. Our Retail Assortment Planning methodology links your strategy to seasonal budgeting and tailored assortment structures, and ensures planned Best Sellers are identified and quantified accordingly for each store, store grade, and region. For e-commerce, assortment planning follows more complex rules. Digital channels offer the opportunity to build multiple paths to purchase. The same option can be reached following new arrivals, functional, emotional, seasonal, convenience paths. Customers can create bespoke journey according to their profile. Critical KPIs emerge for best practice range planning: duplicated vs non duplicated options, number of duplications per option, number of paths per option. Our colleague Agnieszka Adamkiewicz is expert in developing best retail planning methodology and in supporting the client's team through the validation and implementation process.